1-CD with 20-page booklet, 26 tracks.Playing time 67:50 Mns. 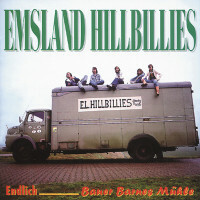 In 1975 Achim Reichel began with Hermann Lammers-Meyer and the Emsland Hillbillies to lay the foundation stone for the'At last' LP, an album with country music in German language. After two years of work, the work was presented to the public on the young Nature label. It was a'revolution in country music'. Cheeky, contemporary lyrics that were also ahead of their time inspired even pop radio disc jockeys and'At last' almost 20,000 copies were sold. 1979 appeared, again produced by Reichel,'Bauer Barnes Mühle' with more funny and mystical stories. Both productions are milestones of the German country genre and are available as Bear Family CD, digitally remastered by Achim Elsner and thus even fresher than when they were created more than 30 years ago. A must! 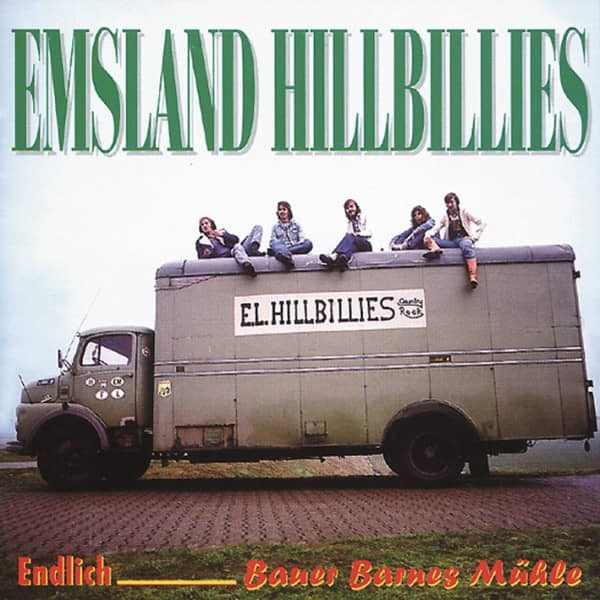 Die Emsland Hillbillies, a North German country band that works with songs in German. In October 1987, the group celebrated its 15th anniversary. Customer evaluation for "Endlich - Bauer Barnes Mühle"